Dr. Avijit Kumar is a Surgeon of Urology at Regency Healthcare. 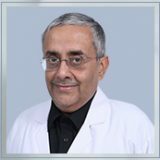 He has performed all major reconstructive Urological Procedure and more than 100 Laparoscopic Urological Procedure. Case Report on “Burgers Disease in females” in Indian Journal Society.